Somatic Movement Workshop (2hrs) learning great exercises to help you in everyday life! Call 01751 417367 or email info@ryedalefolkmuseum.co.uk for further details or to book your place. Museum Entry Fee Applies but courses are free. Some of the activities happening onsite over the weekend. Our free entry day on Sunday the 14th was a great success with over 400 people in attendance. We are now all getting ready and gearing up for next weeks half term activities. Staff and volunteers will be manning the cooking and craft workshops and preparing trails on site. It has been rather busy here at Ryedale Folk Museum. We have had our free Valentine's event and that was fantastic. I really had a good time and i'm sure all the visitors had fun too. Considering the coldish weather we managed to get over 400 visitors. Mark and I were cooking in Stang End and that was good because we had the fire to keep us warm!!! My mum and sister also came along and they were in the Sweet Shop. They also had a good time because they were able to speak to the customers and also get to know other volunteers. Overall I found this day really enjoyable because there were enough activities for everyone and we all had a good time. Sir Nicholas Serota, director of the Tate museum in London was also at the gallery. I felt really privileged to be there because its not everyday you go to an Art Gallery and see the director of a fantastic museum in London!! Yes it was a really good day. Raymond Hayes Photo Story by Matthew Cundall, Leeds University. When Raymond Hayes died in 2000, it closed the book on a chapter of Ryedale life. 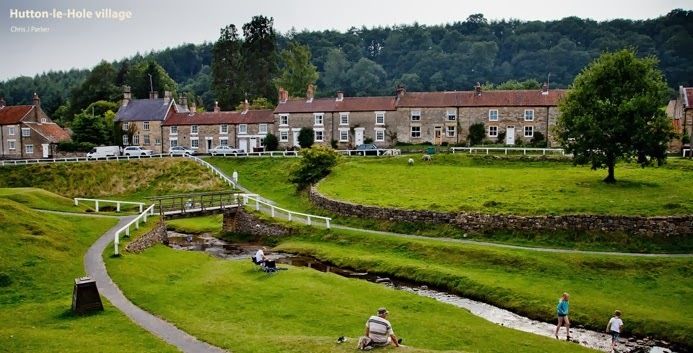 For nearly 90 years, Raymond had a front row seat in the life of Hutton-le-Hole. As the local photographer and later as a prominent archaeologist, he saw the village change forever. Before his eyes, generations came and went. His photographic studio, now an exhibit here, has allowed visitors to see the objects which surrounded his life. But these objects can’t tell us what he thought about the times in which he lived. What did Raymond’s generation think about the impact of rising house prices, depopulation and increased tourism? How did he react to the closure of the local school and the outbreak of the Second World War? How did they speak? Eleven years after his death, we can help answer these questions. Thanks to a new partnership between Ryedale Folk Museum and the School of English at the University of Leeds, we’re making public the lost voices of the past. In 1976, Raymond was asked about a range of topics by a University of Leeds researcher. The recording they made that day is fascinating. It tells you something about our society that no history textbook could. You can listen to excerpts from it below, included in a digistory I’ve made for the museum. Two years ago, the university asked me to come up with ideas for making one of its research archives accessible to museum visitors. My work was to form part of a pilot study for the ‘Language, History, Place’ project. The digistory forms just part of my work with Ryedale and the Dales Countryside Museum in Hawes. 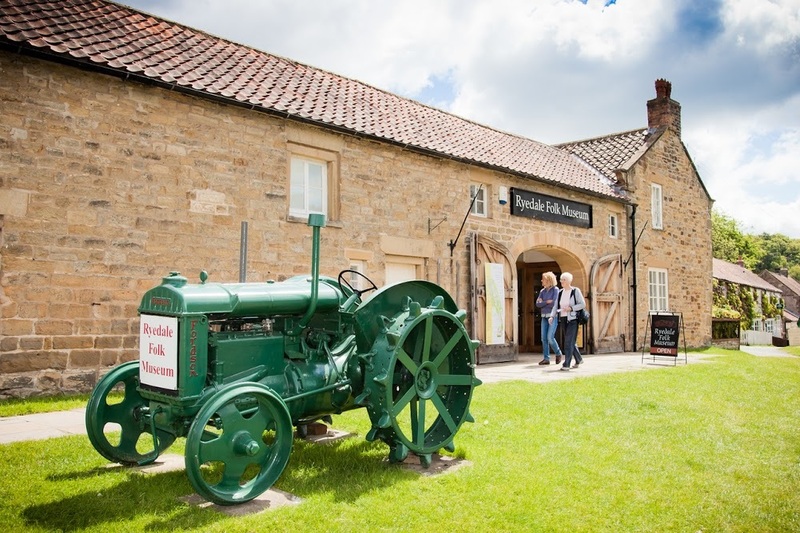 Over the next few years, the University of Leeds and museums like Ryedale will be creating new exhibits based on the Leeds Archive of Vernacular Culture. A treasure trove of sound recordings, word maps and articles, the archive is kept in the confines of the Special Collections section of the university’s library. I’m just the first of the many students who will work on this project over the next few years. They, like me, will focus not only on the recordings of Raymond Hayes, but also on other fascinating topics, like local folklore and dialect. Some of the results of my work can be found in the museum café. There, on display is a selection of the results from a remarkable study into the language of dairy farming. Started forty years ago, it lay unfinished until 2010, when I set to work on compiling and mapping the responses for the museum. The results show the enormous dialect variation in Ryedale and Yorkshire as a whole. Importantly for the University of Leeds, they add to the university’s extensive knowledge of local dialects. You can find out more about the archive here, but if you want a taster of what we’ll be making available, watch my digistory below or check out the display board in the museum café. Look whats landed in the Ryedale Folk Museum grounds!